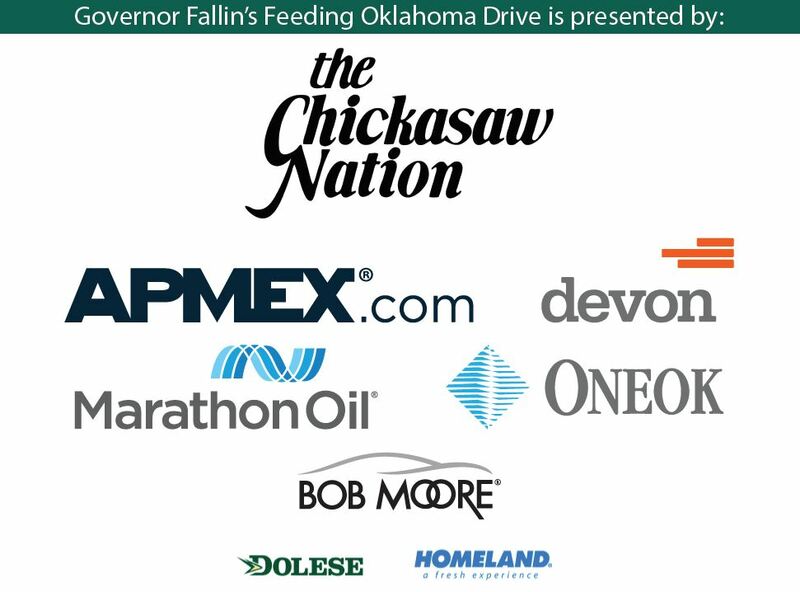 Please join Governor Mary Fallin's Feeding Oklahoma Drive from October 1 - 31, as we work together to fight hunger in Oklahoma. This year, we've set a goal to raise at least 2 million meals and we need your help! One in six Oklahomans face hunger every day, including chronically hungry children, seniors living on fixed incomes and hardworking families who cannot make ends meet. By making a donation, you will provide hope, in the form of food, to our hungry Oklahoma neighbors. Every dollar donated provides the equivalent of 4 meals. Should you have any questions about your donation, feel free to contact us. And, if you would also like to host a food drive, please sign up here. Share a message of hope with a family you're helping! Write a brief message here. We'll print it on a card to pass along with the food you're providing! Our administrative and fundraising costs are only 4 percent, so 96 cents out of every dollar donated helps feed hungry people.